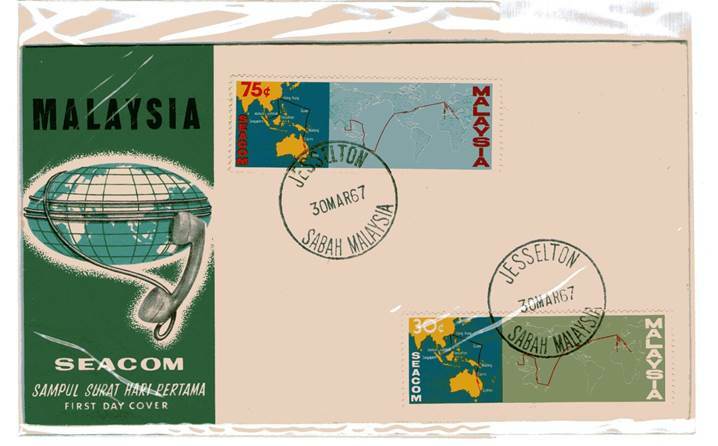 This FDC was cancelled in Jesselton. The image is provided by KH Chung. 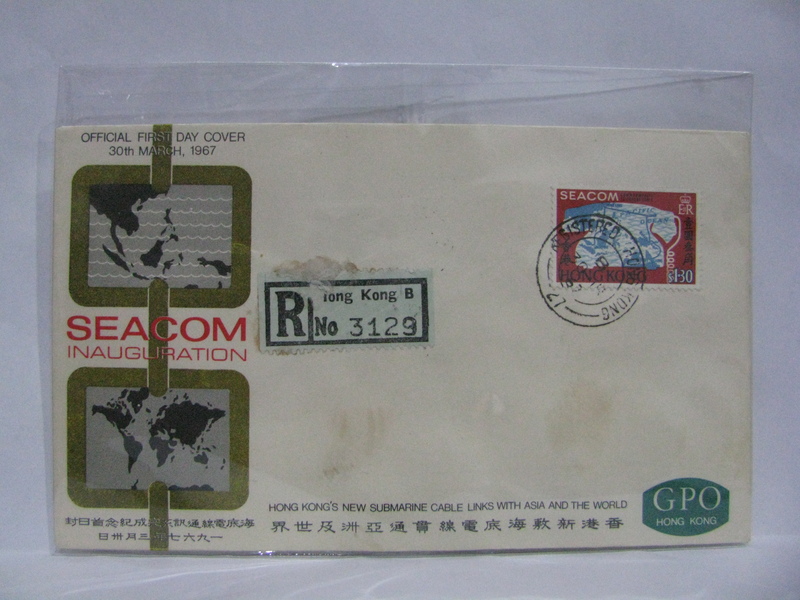 Here is a FDC issued by Hong Kong to commemorate the SEACOM link up of Malaysia to Hong Kong. 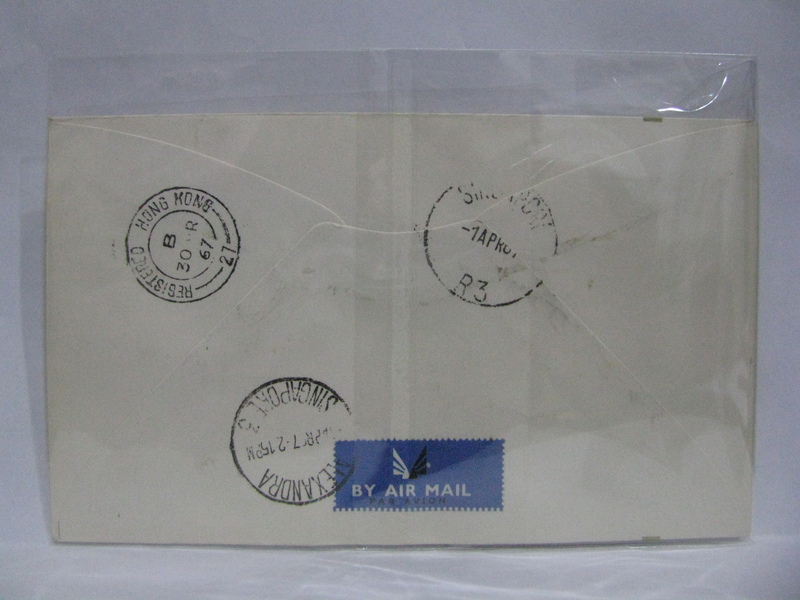 Incidentally there is a Singapore cancellation at the back. 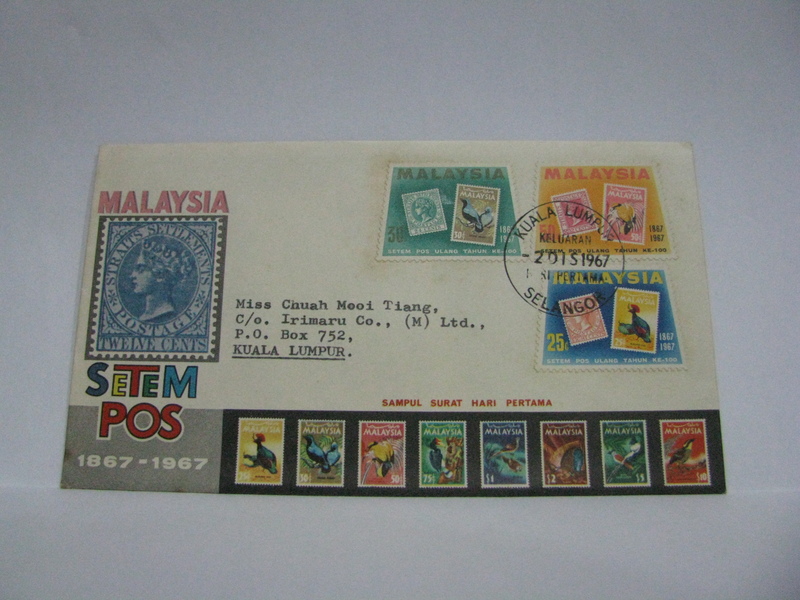 Malaysia stamps could not longer be used in Singapore at this stage. 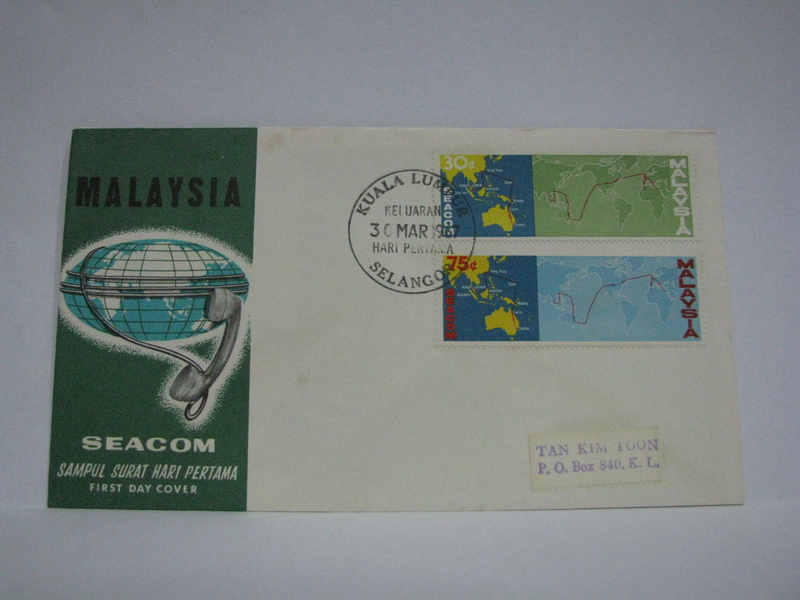 This FDC was cancelled in Kuching and sent via normal mail. 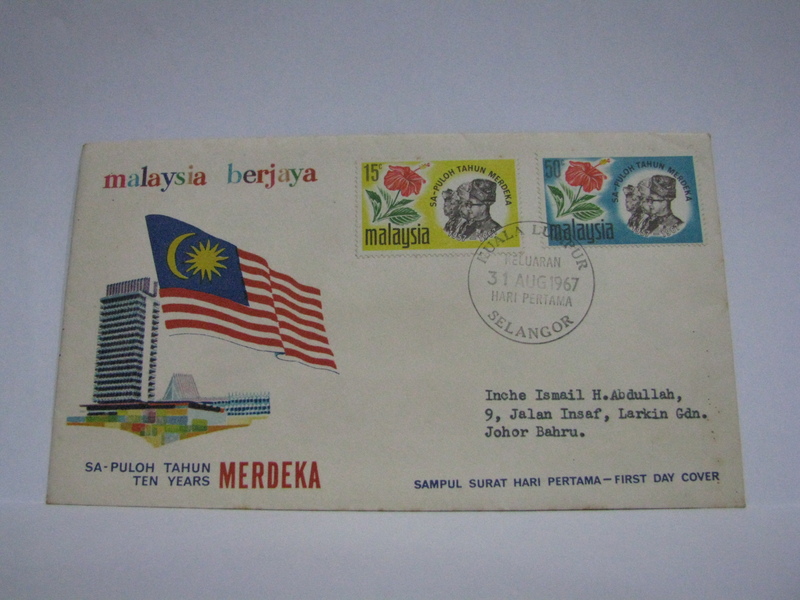 This FDC was cancelled in Pulau Pinang and sent via normal mail. The significance is that the first stamps in 1867 were used in the Straits Settlements and Penang was the earliest settlement. 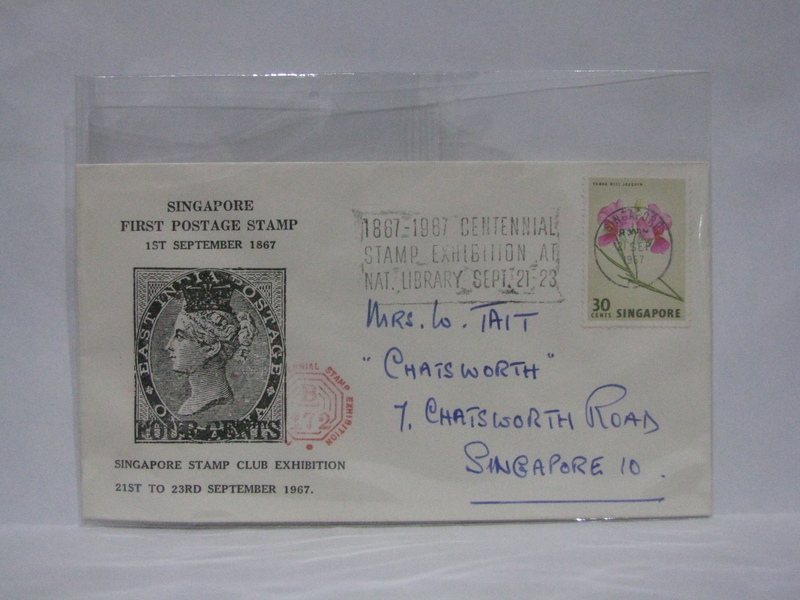 As an item of interest, the Singapore Stamp Club held a Centennial Stamp Exhibition 21 – 23 September 1967 at the National Library. 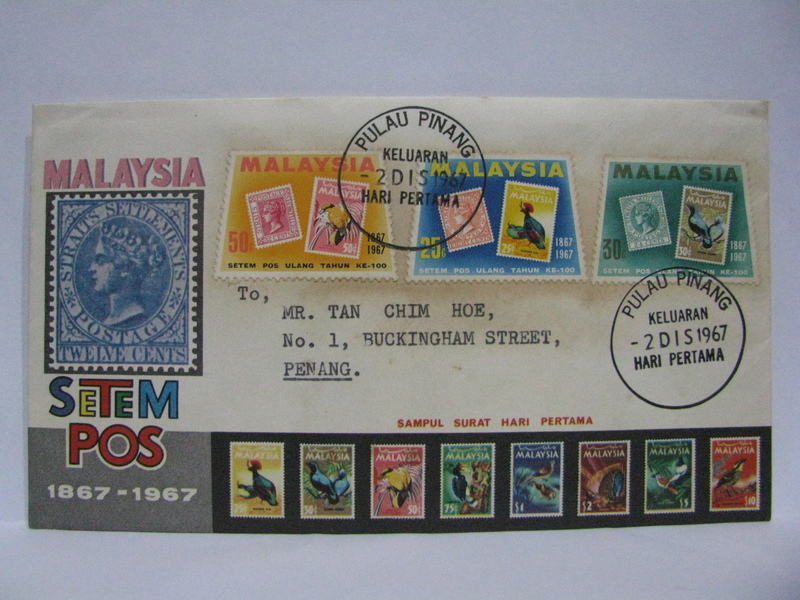 The common theme with Malaysia was that the first stamps were issued in Straits Settlements. Singapore was part of Straits Settlements. This exhibition cover was cancelled in Singapore with the exhibition slogan cancel on the first day of exhibition (21 September 1967).